In the haste to open her very own studio during the busy holiday season, yoga instructor Yolandrea Clark had to handle a lot of details. She found her building in the Chickasaw Gardens neighborhood at the end of November, signed her lease on Dec. 10, and was up and running on New Year's Day. Between setting up an online registration system, handling code enforcement, securing equipment, and even attending jury duty, she toiled over one of the last features of her studio to fall into place. Clark really wanted a specific kind of flooring. “I wanted rubber floors, because I have people with joint replacements. It’s much easier on them,” she said. Loeb Properties Inc. is preparing to demolish the pair of office buildings at 5575 Poplar Ave. The prominent real estate company recently sent tenants of Executive Square a letter telling them that a demolition is being planned for the pair of 1973 office buildings and that they will be replaced with a new development Loeb is involved in. Ciara Neill, Loeb's spokeswoman, confirmed the plans Tuesday and said the company is working with "a lead candidate" on the "major redevelopment." "We're very pleased with the interest we've been getting from prospective users," Neill said. The future shop at 1776 Union Ave. features a corner patio so round that it mimics the donuts to be made and sold inside. In case there’s any doubt about the circular symbolism, a giant donut-shaped sign will be installed atop the patio, according to an architectural rendering provided by landlord Loeb Properties. One day in the early 1990s, the owner of a small, Long Island pizzeria was left shorthanded by a quarrel between his two sons. He turned to the dishwasher, Jose Granados, and told him he was going to learn how to make pizza that day. Ever since, Granados has been making pizza off-and-on and saving up money to open his own place. On Monday, the 43-year-old is set to achieve his long-held goal, with the opening of New York Style Pizzeria in Collierville. A shopping center in the heart of East Memphis will soon undergo a renovation. Loeb Properties this week applied to do work on its ErinWay Center at 4870 Poplar. The document estimates the first phase of work will cost about $750,000. The J-shaped center anchored by Huey’s occupies 4.1 acres with 44,487 square feet of commercial space and parking. The strip center is bordered by Poplar to the south, St. Nick on the west and Erin Drive on the east. “We'll be making some cosmetic and construction adjustments to this plan as we work our way around the building, and are staging the renovation in phases to work around the busy holiday shopping season,’’ Loeb Properties spokeswoman Ciara Neill said in an email to The Daily Memphian. SHED Fitness has signed a lease to occupy 4,055 square feet at 1215 Ridgeway Road. Marcus Esposito and Maureen Shorter Esposito, the local franchise owners, are currently building out their Park Place location, which is expected to open in August. In the deal, landlord Loeb Properties Inc. was represented by vice president of brokerage Aaron Petree. At SHED Fitness, participants are led through 3 to 5 stations of moderate to high intensity exercises for a total class time of 50 minutes. Private classes are also available. A conceptual rendering of the Diana Street Apartments being proposed by PMT investments LLC. The apartments are designed by Memphis-based architecture firm Arch Inc. The latest infill development in Midtown will officially expand the boundaries of Loeb Properties Inc.'s Overton Square redevelopment — or the use of its trademarked brand at least. A three-story, infill apartment building, planned for a vacant lot at the corner of Diana Street and Monroe Avenue, will be the first new development to use the official Overton Square brand. As detailed in the Memphis Business Journal's June 2017 cover story, "Loeb trademark defines shape of Overton Square," Loeb has a federal trademark for “Overton Square” and “Overton Square Memphis” from the U.S. Patent and Trademark Office for advertising and marketing purposes. "Since 'Overton Square,' the name, is trademarked, [Loeb] is licensing us the ability to use the name 'Overton Square' in our name 'The Flats at Overton Square,'" said Aaron Petree, Loeb's vice president of properties and a principal of PMT Investments, which is developing the project. "For them, it was a benefit because they can expand the geographical footprint." February 6, 2018 - Left to right - Aaron Petree, Cliff McLemore and Ed Thomas, with PMT Investments, stand in a lot at 43 Diana where Flats at Overton Square will be built over the coming year. Flats at Overton Square will be a 16-unit, three-story live/work development. The Overton Square brand is expanding with the construction of a 16-unit apartment building to go with the existing restaurants, shops and theaters. Flats at Overton Square will rise on an empty lot on Diana at Monroe, a block southwest of the Midtown entertainment district. Construction is to start this spring and be completed by early 2019. The development continues a trend toward placing beds in and around the Square to go with all the entertainment and food. Overton Square owner Loeb Properties plans a 100-room boutique hotel next to Hattiloo Theatre, and neighboring landlord Taylor Caruthers plans to erect a building of ground-floor retail and upper-level apartments immediately west of Overton Square, across from the Prairie Farms milk plant. 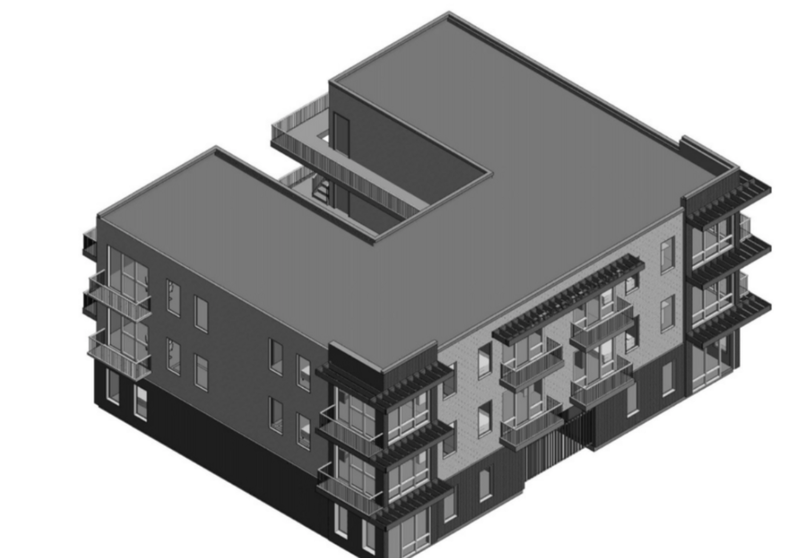 The three-story Flats at Overton Square will offer four live/work units on the ground floor, and six residential units each on the second and third floors. Those units cannot be used for retail, but tenants can operate an office identified with a small placard. According to Overton Square LLC’s application filed with the Economic Development Growth Engine for Memphis and Shelby County, the project’s owners are seeking a 15-year Community Builder payment-in-lieu-of-taxes (PILOT) incentive to build a $24.2 million hotel on the 1.3-acre lot that is currently home to a parking lot situated between the Hattiloo Theatre and Bar Louie. Loeb Properties Inc. announced today (Tuesday, July 11) it leased 2,300 square feet of space on Union Avenue to PetVax, a veterinary clinic. The clinic will be located at 1680 Union Ave., in the shopping center anchored by Pei Wei Asian Diner. It will be the Memphis-based veterinary company's sixth full-service location, and its closest to core of the city. When a small record shop called Pop-I’s opened in late 1960s, it helped spark the transformation of a mundane neighborhood shopping center near the University of Memphis into a popular entertainment destination for students. And while it has seen its share of ups and downs over the past half-century, the Highland Strip and the surrounding area is firing on all cylinders now – thanks in part to the revitalization efforts of current owners Loeb Properties, which just linked a lease with the strip’s newest tenant, Bruster’s Real Ice Cream. A tenant you can bank on is headed to a future Midtown development. Renasant Bank will open a branch in Loeb Properties’ new 7,500-square-foot retail center at 2046 Union Ave. The bank joins Chipotle as the announced tenants. In January, Metropolitan BancGroup Inc. — parent company of Metropolitan Bank — announced it would merge into Renasant Corp. — parent company of Rensant Bank — as part of a $190 million all-stock transaction. That merger is expected to close July 1. Phillip May, former market CEO for Metropolitan Bank’s Memphis market and current president of Memphis/West Tennessee for Renasant Bank, said the Union Avenue location was already in the works for Metropolitan before the merger announcement. Chipotle is on its way to Midtown. The fast-casual Tex-Mex eatery will be leasing space in the new 7,500-square-foot retail center Loeb Properties is building at 2046 Union Ave., the former home of a Valvoline Instant Oil Change building. Chipotle will take up about 2,250-square-feet of space in the new center, according to The Shopping Center Group's John Reed, who — along with colleague Danny Buring — represented the popular burrito restaurant. "They like Union Avenue and the synergy of the area [near Overton Square]," Reed said. This week it was revealed that a longtime Overton Square restaurant tenant planned to move — slightly. Golden India filed an application with the Shelby County Land Use Control Board to have a piece of property at 20 N. Cooper St. changed from its current residential zoning to accommodate a new, 2,900-square-foot restaurant. The site is immediately next door to Ballet Memphis. If approved, the new Golden India location would be about a three-minute walk from its current home at 2097 Madison Ave. It's a small move geographically, but it's one that would take them outside the Overton Square parameters. This week’s MBJ cover article, “Defining the shape of the Square,” looks at the federal trademarks for “Overton Square” and “Overton Square Memphis” granted by the U.S. Patent and Trademark Office and registered to Loeb Realty Co. Inc.
A person is standing at the corner of Florence Street and Madison Avenue — where are they? An answer of “Overton Square” may or may not be correct — depending on what side of the street the person is standing. However, after a few changes in ownership, the Square began to decline in the 1980s, and in the following decades was all but abandoned by many businesses — the nadir might have been the closing of Friday’s in 2003 — until brothers Robert and Louis Loeb of Memphis-based Loeb Properties Inc. purchased the development in 2012. Overton Square has since gotten its second wind. Last week, Loeb Properties spent $1.4 million on a site that is currently home to a Burger King near Loeb-owned Overton Square. The two-parcel property, located at 2090 Union Ave., has a combined appraised value of about $1 million, according to the Shelby County Assessor of Property's website. It is about a block away from the property where Loeb plans to build a new, 7,500-square-foot retail center. Loeb Properties is preparing to build a new, 7,500-square-foot retail center in Midtown. The center will sit just south of Overton Square at 2046 Union Ave., the current location of a Valvoline Instant Oil Change building. "This constitutes a rare opportunity for a tenant to move into brand-new retail space on Union Avenue in the heart of Midtown," said Aaron Petree, Loeb's leasing broker for the property, in a news release. The multi-tenant building is set to include a restaurant, but Loeb didn't release the names of any confirmed lessors. The building will cost about $1.2 million, according to a building permit filed Tuesday.